Use Your Insurance Policy To Fight Your Fire Claims Dispute! As if having a devastating fire that damages everything in a home or business isn't enough, the second catastrophe can be dealing with an insurance company or adjuster. 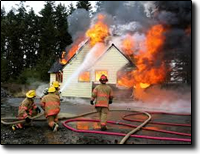 Fire insurance claims are very complex due to the large amount of damage they cause. It's not long before the two sides are in a dispute about what should be repaired and what should be replaced. Should you invoke appraisal? How much will it cost? Is Insurance Claims Group the right fit for your appraisal needs? How do you know unless you ask? Please feel free to contact me by email to set up a date and time to to discuss your Insurance Appraisal needs. Or, call me directly at (919) 669-9111. I will be happy to assist you in any way I can. International Copyright © of Insurance Claims Group, Inc. All Rights Reserved.